The smoke detector starts blaring, and as you rush to find your children, you spot the blaze. It’s small; maybe you can just put it out. Quick: Do you have a fire extinguisher? Where is it? Do you know how to work it? If you can’t find and use it in moments, the fire is likely to get out of control. More than 70 percent of all Americans own a fire extinguisher, but only a fraction actually know how to use it. “Our message is advance planning, so you’re not trapped making a quick decision under stress,” says Meri-K Appy, assistant vice president for public education at the National Fire Protection Association. Her instructions, below, could save your life. Q: How do I decide when to use a fire extinguisher or when to call the fire department? A: The only time you should try fighting a blaze is when you have a clear exit behind you and the fire is small, self-contained, and not spreading rapidly. I advise people not to attempt it if the fire is bigger than a wastebasket, but the truth is you should never fight a fire if you’re not confident. I remember hearing a firefighter from Omaha suggest that you take the hair-on-the-back-of-your-neck test. If it’s standing up, just get out. Q: If I put out a fire with my extinguisher, should I still call the fire department? A: Always. Fires can reignite as long as three elements are still present-fuel, oxygen, and an ignition source. People often won’t even notice that there are still embers smoldering, but with sufficient oxygen, fires can rekindle. 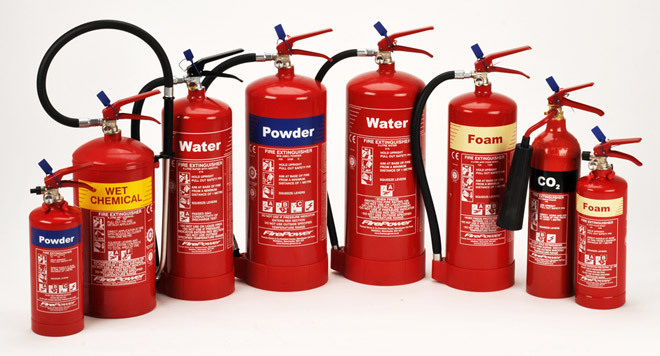 Q: What do I need to know before buying a fire extinguisher? A: First, make sure the brand you’re buying has been tested and is labeled by an independent testing laboratory such as Underwriters Laboratories, Inc. After that, we recommend you buy the largest unit you can lift and handle. Q: I’ve noticed combination letter-number designations on fire extinguisher labels. What do they mean? A: The letters tell you what kind of fire the extinguisher is intended to fight. We recommend a combination extinguisher, with an ABC classification. The numbers you see, which appear in front of the letters, indicate what size fire the unit is intended to extinguish. The higher the number, the larger the fire it can handle. No sizes are assigned to C extinguishers; A models range from one to 40, and B from one to 640. For home use, your best bet is a unit labeled 2A:10B:C. [Cost around$30.] This is a good size because it’s big enough to hold a reasonable amount of extinguishing agent. Q: What’s the best place to keep it? A: In plain view, next to an exit. The last thing you want to do is somehow get yourself caught in a position where there’s a fire between you and an exit. We recommend that you keep an extinguisher on each level of your house. You should not have to walk more than 40 feet to reach a working unit. Q: Is there an instance in which a fire extinguisher isn’t best choice for fighting a fire? A: You can use an extinguisher to put out a grease fire on the stove, but it isn’t the best choice because the pressure from the extinguisher can cause the grease to splatter. Instead, put on an oven mitt, carefully slide a cover over the pan, and turn off the burner. Then hold the lid tightly in place until the pan has cooled completely. Don’t peek inside; that’ll let in more oxygen and can reignite your grease. Never throw water on a grease fire. Don’t pour baking soda on it either; in the urgency of the moment, you might grab baking powder instead, which can cause the fire to spread. Q: How long is a fire extinguisher good for? A: Some models have a color-coded dial pressure gauge that tells you whether you’re in the fully charged range. Others have a pressure-check pin; if the pin doesn’t pop out when you push it in, the pressure inside is too low. Some units, especially small ones, are designed to be thrown away after use, or when the pressure drops too low. But if the unit is rechargeable, bring it to a service center or to your local fire department if it offers servicing. Be sure to bring it in after each use as well. © Copyright muranska-planina 2019. Powered by WordPress.